Novelist Floyd Salas charts his dramatic coming of age in the conflicting shadows of two older brothers: one a drug addict and petty criminal, the other an intellectual prodigy. 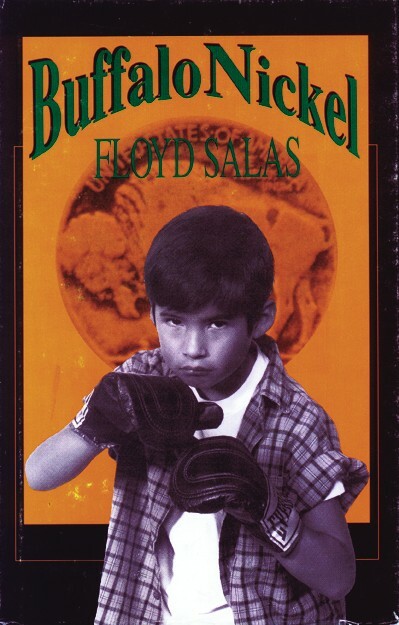 Through intense, passionate prose, Salas takes us through the seedy bars, boxing rings and jails of his youth as he searches for his own true identity amid the tragedies that envelope his family. Buffalo Nickel is an autobiography that reads like a well-crafted novel in its recording of the excessive human costs of addiction. Aspiring to be like his older brothers at first leads Floyd to excel as an athlete and charmer, but unfortunately, following in his brother’s footsteps also draws the young man into the darker side of life. As Floyd struggles to reform his own life, he is forever and futilely pushing Al to mend his ways. The struggle of the inveterate criminal and the co-dependent relative is dramatically maintained throughout the work until both personalities finally arrive at the definitive plateau of self-knowledge. FLOYD SALAS is the critically-acclaimed author of four novels, a memoir and two volumes of poetry. His publications include Tattoo the Wicked Cross (Grove Press, 1967; Second Chance Press, 1981), winner of the Joseph Henry Jackson Award and a Eugene F. Saxton Fellowship; What Now My Love (Grove Press, 1969; Arte Público Press, 1994); Lay My Body on the Line (Y’Bird Press, 1978); the memoir Buffalo Nickel (Arte Público Press, 1992), which earned him a California Arts Council Literary Fellowship; State of Emergency (1996), awarded the 1997 PEN Oakland Literary Censorship Award, and his poetry collections, Color of My Living Heart (1996) and Love Bites: Poetry in Celebration of Dogs and Cats (Mad Dog Publishing, 2006). Salas’ awards and honors include a Rockefeller Foundation Fiction Scholarship, an NEA creative writing fellowship, and two outstanding teaching awards from the University of California, Berkeley. He has taught creative writing at San Francisco State University; University of California, Berkeley; University of San Francisco; Sonoma State University; and Foothill College, as well as at numerous writing conferences and at San Quentin, Folsom, Vacaville and other correctional institutions. He is the founder and president of the multicultural writing group PEN Oakland, and a former boxing coach for University of California, Berkeley.